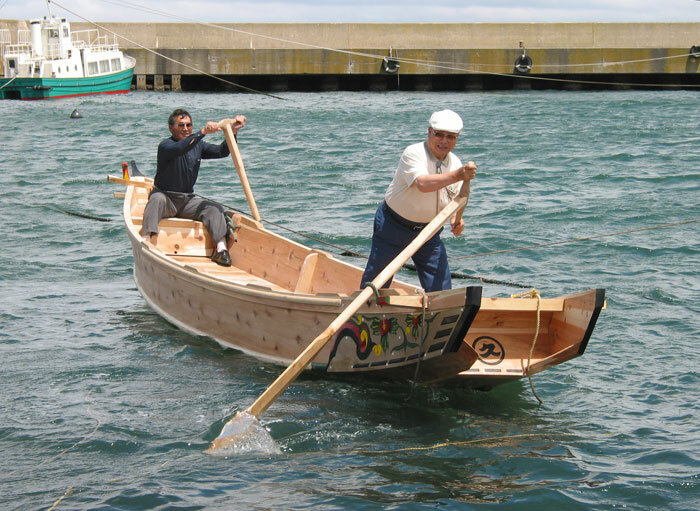 The Shimaihagi is a traditional fishing boat used for inshore fishing in the Tohoku region of northern Japan. 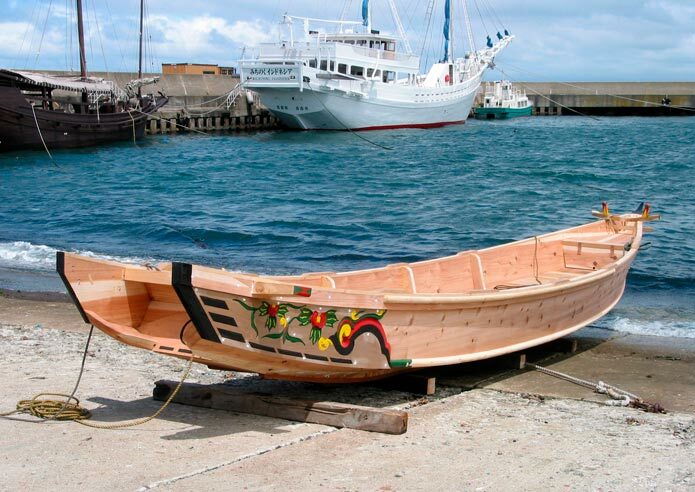 These boats are built without any plans, all of the dimensions are memorized by the builders. Douglas Brooks and Seizo Ando used Japanese cedar for the planking and framed it with hiba, a Japanese cypress wood. 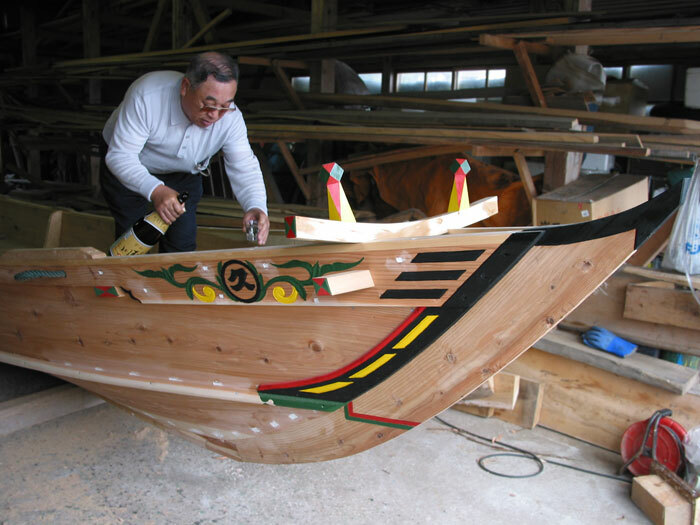 Each individual builder personalizes his boats with carvings that act as a signature to the craftsman's work. For more information, www.douglasbrooksboatbuilding.com.